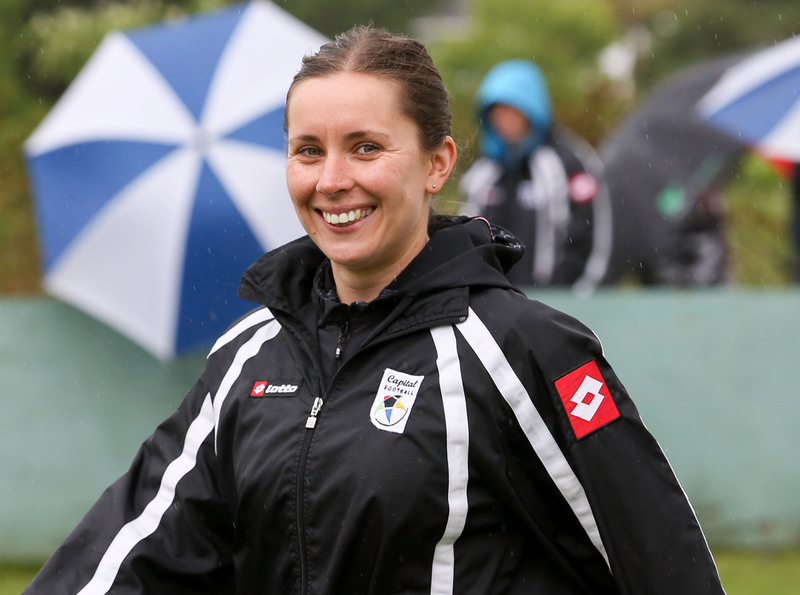 Emma Evans is a familiar face on the New Zealand football scene having spent the past three years developing the women’s game with Capital Football. However, communities across the Pacific should get used to seeing her on their shores now the New Zealander has taken up the role of OFC Women’s Football Development Officer. While the post has stood empty for the past two years, the work has continued in the background and OFC Technical Director Patrick Jacquemet is excited to see Evans familiarise herself with the region and start making similar inroads to those she made with Capital. “Emma’s achievements are no secret with the growth of the women’s game within Capital Football, both in terms of participation and elite, evidence of her success,” he said. While women’s football is growing rapidly across the globe, the opportunities are still developing. Evans believes the role with OFC was one she couldn’t let slip through her fingers. “When I saw the advertisement come up it was an exciting change and just another opportunity for women in sport as well,” she said. “You look at the job opportunities that are available, and I’ve come from a Federation so the natural progression is to a national organisation, but when the Oceania role came up I thought it was an awesome opportunity. During her time with Capital Evans said she was tasked with boosting participation across a region which takes in Wellington and the Wairarapa. “The main purpose, or objective, of the role was to grow the women’s game in the region both at a participation/community level, but also in the elite game, to really try and drive and lift that competitiveness of the region as well,” Evans explained. Looking ahead, Evans already has a plan about what she hopes to achieve in the role and one of the keys will be growing the number of women and girls across Oceania who are involved in football – but that’s not all. “It’s important we grow participation and we increase or make ourselves competitive on the world stage, but for me it’s more about empowering women and challenging societal norms. “Really making a difference to how the women’s game is perceived, not only in Oceania, but in the world as well. “I think we’ve got a massive opportunity to progress football and society, and that’s really exciting. “Football is going to be an extremely valuable tool in promoting gender equality. Giving girls the opportunity to play, but also letting boys and men see that it is ok to let them play. One of the first big tasks on the agenda is the upcoming FIFA Women’s Football Development Seminar which is being held in Vanuatu at the end of the month. As well as bringing together people involved in women’s football from across Oceania, FIFA Chief of Women’s Football Sarai Bareman will also be in attendance. The opportunity to be in the room with these key people is something Evans is looking forward to. “It will be a good opportunity for me to meet everyone in this capacity, and also for FIFA and Sarai to come over and share what’s happening in the women’s game and to really promote some of the changes which are happening at FIFA and to drive that down into a Confederation level.